A makeup post? Can you believe it? I know, it’s been a while. The two main reasons… 1. I haven’t been wearing much makeup lately so there hasn’t been a need for me to post and 2. I’m really forgetful these days and when I do get new goodies, it completely skips my mind to post! For that, I am sorry. If you follow me on social media (if you’re not, what are you waiting for?! helloooo Twitter/Facebook) anywho… I shared these products long before this review so you had an early preview if you follow along. I’ve tested both of them on my face over a regular light foundation and I really only like the white one. Maybelline Master Holographic wears light enough to be worn for any occasion but catches the light enough to be seen. It can be layered to produce an even brighter highlight if you like. The tan/gold/bronze color Maybelline Master Chrome doesn’t wear well for my skin tone. It could be that I have more red undertones (thanks sometimes bothersome rosacea) which makes it look as if my skin is just oddly colored or dry. I lightly used the powder then layered 2-3 coats simply using a finger. It’s super soft and little goes a long way especially if you aren’t doing a full coverage face. 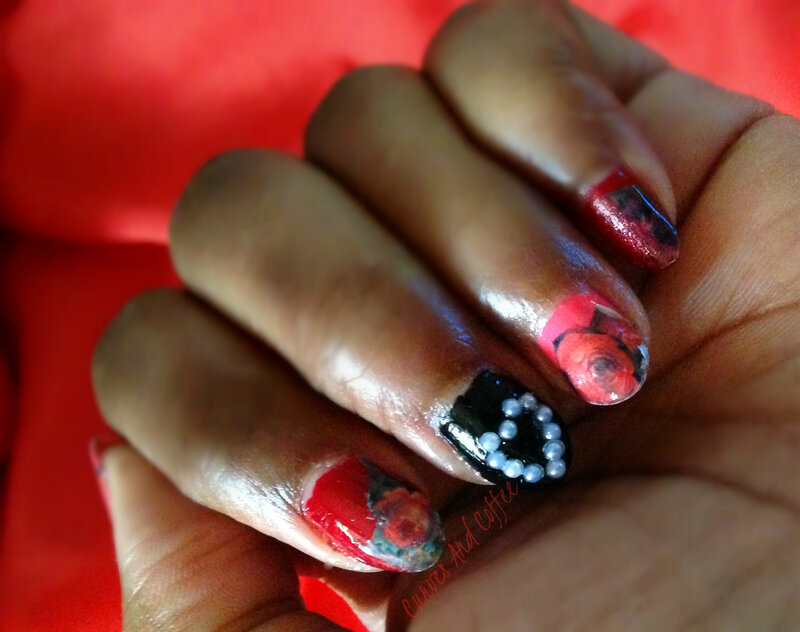 Today’s nail art is just a quick mani for Valentine’s Day. 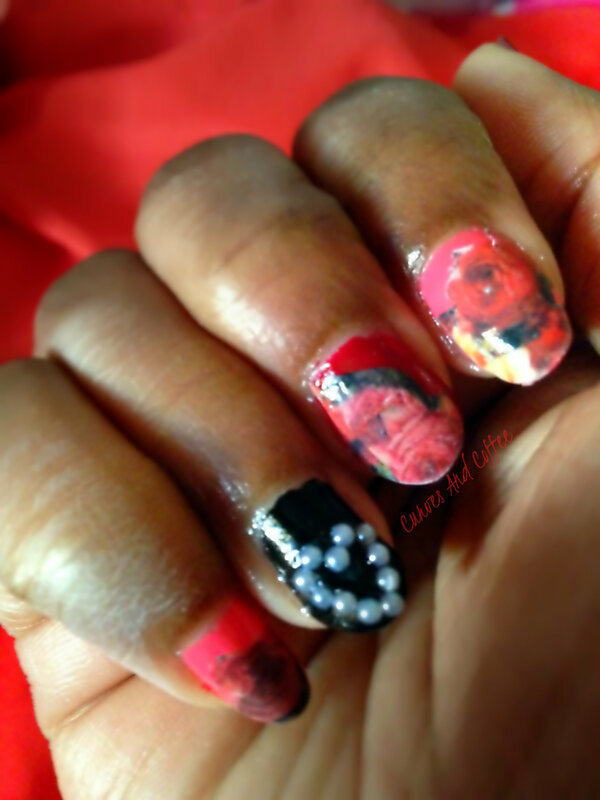 I used water slide decals for the first time which is how the roses and garden background came out so well. Can’t even imagine being able to paint those flowers! Eeek! Props to all those talented nail girls and women out there. Colors: Julep- Anisa (deep red) + Natalie (blush) both of which are still available via Julep.com simply search the names and voilà! Actually, this mani was a practice run with water decals but since I like it so much (flaws and all) I decided to share! Since this was such a quick mani, I wasn’t able to do a DIY tutorial this time around. Don’t worry though, if you guys want, I’ll be sure to post a tutorial post with all the details. Let me know in the comment section below or share a tweet or Facebook comment. Ready to see what I’m crushing on? After falling in love with COLORBURST Balm Stain by Revlon a year or two ago, I almost jumped at the chance to try out their matte lip colors! Fast-forward to my attention span being as short as a millisecond, I totally forgot about picking one up on my many (many many many) trips to Target until now. Better late than never right? Right! 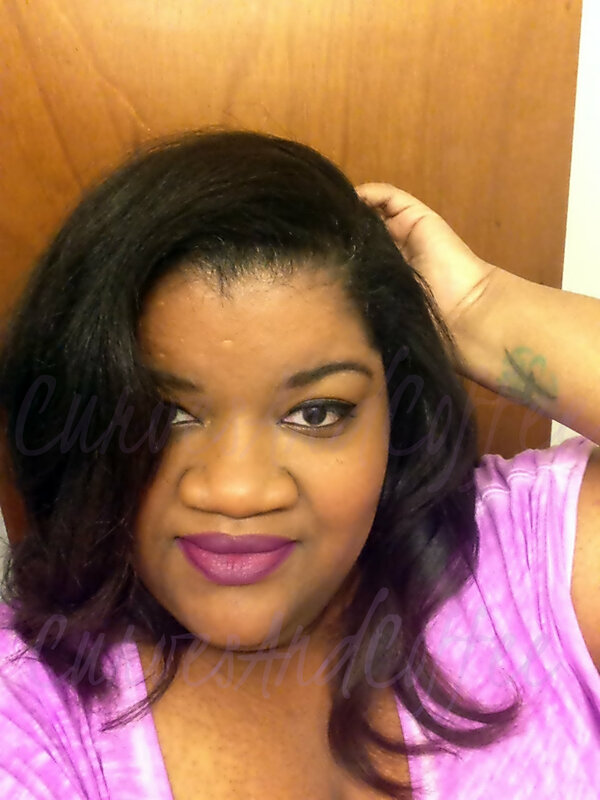 Here’s my fall go-to lip color…a gorgeous deep Merlot-grapey-yummy color. 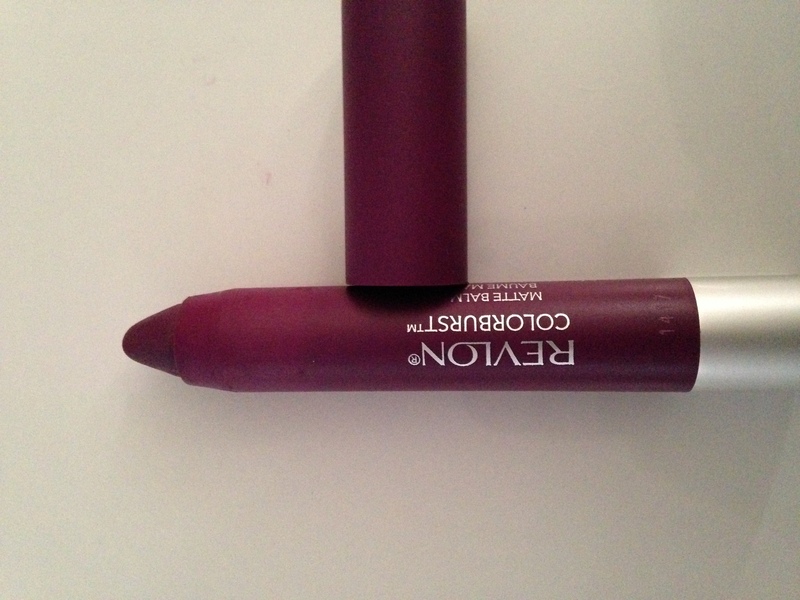 Revlon has an array of colors for their COLORBURST collection. I’ve found that almost all of them work well with any skin tone. The matte trend for lips has its moments of perfection and downfall…have a powwow to see which fits your lips and find that key to unlocking blissfully kissable lips. I’ve wanted to try this since I first laid eyes on Emma Stone in the ads! Yes, I might be one of those people (the best kind of consumer) who buys something because a celebrity endorses it. Not saying I’ll buy anything just because of that reason but I will buy anything the gorgeous and lovable Emma Stone and Olivia Wilde likes. Not to mention it’s gorgeous color for under $10! Yes, please! Hello! It’s like 6 bucks at any drugstore for starters! Even though it’s a “matte” lip color, it’s actually very nourishing. It’s not something that will dry your lips out, in fact, you can rub your lips together and the color stays put. The shape is perfect for any purse or wallet. Never a need to use a sharpener…just twist the bottom and voila! If you’ve purchased any of the Revlon stains or balms….what’s your favorite? Let’s share our goodies! As a beauty junkie and product hoarder, I’m always looking for the “next best thing.” When that best thing happens to be a “dark spot corrector” you have to do your research! The last thing you want is a product filled with things you can’t pronounce that’ll be bad for you. Insert me… Your research guru! The first task at hand was to find as many of these products were out there (um, a lot!) Second thing…narrow that list down to the exact “target spots” I wanted to reach. Third, read up on those products as best as I could. What I found was interesting and disturbing. Lots of products contain chemicals that are extremely harmful to your health like mercury. Yes, mercury! So once I found products without bad chemicals, I found lots of other reviews on dark spot correctors and went from there! 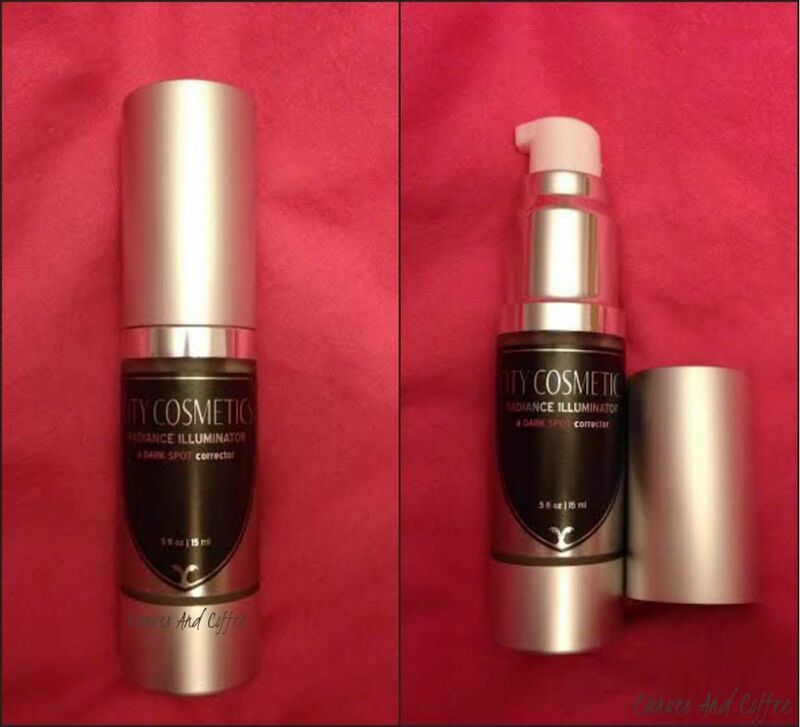 City Cosmetics seemed to make their way on many of the “good for you” and “best dark spot corrector” lists. Of course if a company and one of their products is making the rounds across the beauty world as being one of the best, it has to be some truth in that, right? I decided to contact City Cosmetics PR department (on my own) to ask for a sample and that’s what I got! City Lights Radiance Perfecting Cream came via mail just a few days later. Pros of using this cream are obviously the results! There isn’t a big change but definitely a slight lightening effect on my dark spots. The scent of the cream is great. It isn’t sweet or medicine-y just a light fragrance. It has a sparkle effect when it comes out of the bottle but once it’s completely rubbed into your skin it’s almost undetectable! The directions were to use the product twice a day after washing and drying your face. Apply to target areas and/or as a total face illuminator. 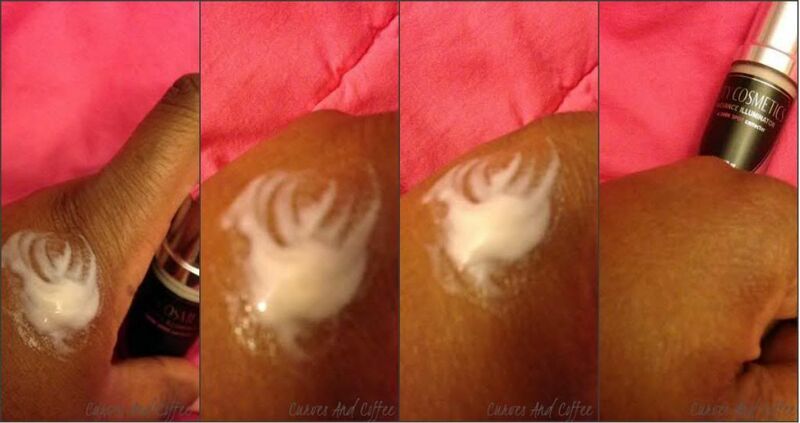 According to the reviews, some people saw results within two weeks of using the cream, users saw a change in their skin. Now, me being the non-routine person that I am, of course I missed some mornings and some nights within two weeks of using the cream but I made up for it by continuing to use it. I’m currently on the third week! 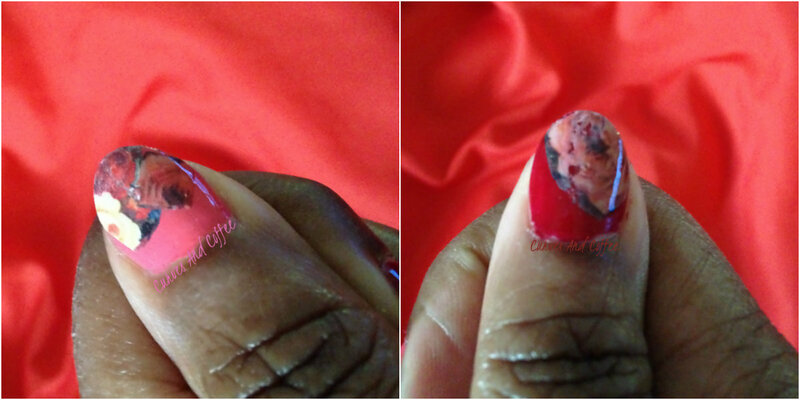 This is a before and after…you can see how the dark spot is spreading out and slowly dissipating. I tried to show ONLY the target area and this mark has been annoying me for months and it’s finally starting to disappear! I’m a believer! Having a darker tone and sensitive skin, any type of acne I get will leave me with a dark mark whether I mess with it or not. The marks I have now are now being treated using the cream. I have taken “selfies” of the progress and I will update you guys as I continue. Wow, it’s Wednesday already! I seriously had to at look the calendar on my lappy (laptop) to double check! If that didn’t blow your mind, the end of April is near. Next thing you know, we’ll be going to pool parties and walking out the door with wet hair again. Ahh the joys of spring and summer. The only thing I’m not looking forward to…bugs! I will scream, jump and act like a complete crazy person until someone comes to my rescue. Let’s just skip over and not even think about those horror stories, shall we?! Hair, is what we’re talking about today. During the fall and winter months my hair is usually bone straight. That means, I’m washing, blow drying AND using the flat iron or pressing comb to get it done. Of course, those are the days that I don’t go to the salon. In the spring and summer it’s a totally different ballgame! I let my natural hair flag fly high! It’s all about washing, slathering a leave-in conditioner on and walking out the door, wet hair and all! 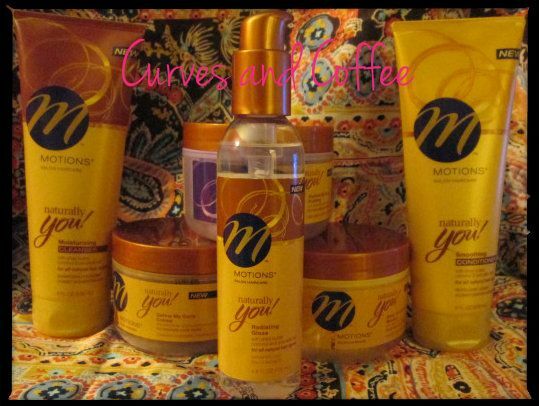 Well, since writing that review, the lovely people at Motions and their PR firm (Siren) contacted me about sending over some goodies. Needless to say, I hopped on the chance to get some free hair products! I mean, what girl is going to turn that down?! Hmm…I couldn’t WAIT to dive into all those jars! There was only ONE teeny-tiny problem…I JUST GOT MY HAIR DONE! Not a complete bummer because I was able to use one of the products which I’ll share with you another day. Soon as it’s time to wash my tendrils this weekend, I’m grabbing these yummy smelling delights! Now, when I started this blog, I never in a million years ever thought I’d get freebies. I do this because I love it not for anything in return. Having a voice out in the blogosphere for a shopaholic curvy chick that rambles and loves sports is important! Anywho, neither Motions or Siren asked for anything in return. That doesn’t mean I won’t give you guys the dish on how good or bad these are in hopes that it helps someone out there. GO GO GO <—- Click it!! Pretty please! This may be a shameless post or not really but I signed up to be a Julep Maven at Julep. I pay $19.99 a month to get nail polish and other mani/pedi goodies in the mail every month! I got my first package which included two different nail polishes and an exfoliating and moisterizing lotion…which you can read H E R E.
If I get a certain number of referrals, I get a free month of goodies!! Amazing right?! I think so. You can sign up just like I did. You’ll take a quick quiz to determine what your fashion style is by answering questions about outfits and shoes and things of the like. My style: I’m a Bombshell!! The link above that says “Go Go Go and click it” takes you to my referral page to sign up! I’m not pushing you to do it, I just think it’s a pretty cool thing for us beauty freaks.